The extra deep basket gives roots room to grow and serves as a counterpoint to the gentle curves of the upper structure, creating an overall effect of elegant royalty. 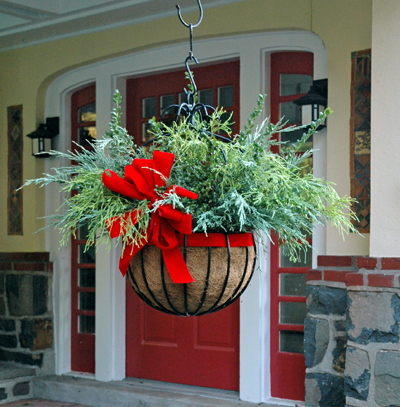 Large hanging loop and rigid upper structure makes hanging these planters easy. Strong hand-welded construction, dipped in thick black plastic for corrosion protection. 16" Diameter x 10" Deep Imperial Hanging Planter with Coco Liner. See item MLTC75 for replacement liner.